My modeling career began long ago. 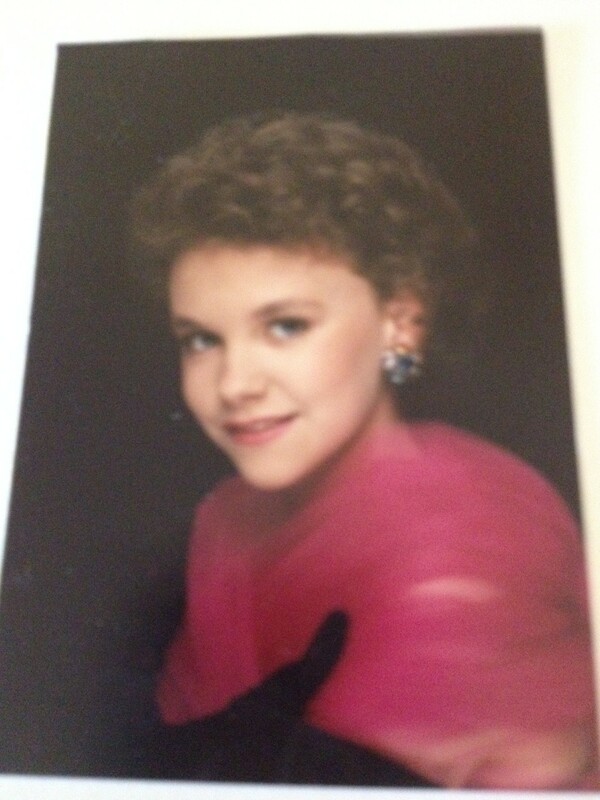 I was in the fifth grade and talked my mom into paying for me to get Glamour Shots. We giddily walked through the mall, and then grinned as the hair stylist ran her fingers through my curls and the makeup artist painted my lips and doted on my features. Then came wardrobe. They put me in a pink netted shawl and black gloves. I had found my calling. I was to be a super model. And now, the time has come for me to display my modeling savvy again. Today, I am a model mortgage client. See, remember how I told you I am buying a house? Well said house is coming along nicely and it’s time for me to start turning in my paperwork for my mortgage. 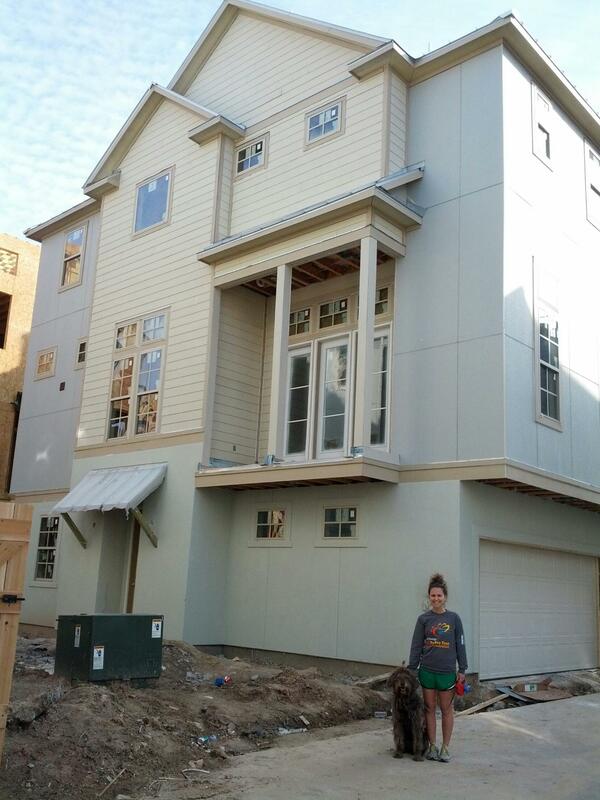 Just the Assistant and Just the Dog standing in front of their future digs. And this Just the Assistant knows how important it is to turn in mortgage documents in a timely fashion (and you can know too, by reading this handy chart). 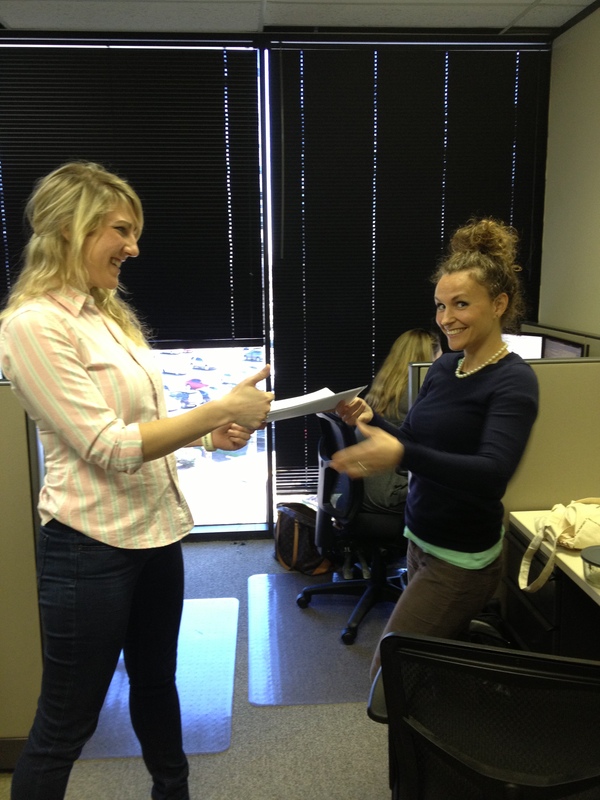 Below, I model how to properly turn in loan documents. Except you can email them in since your cube doesn’t back up to our loan coordinator’s cube like mine does. I had planned on wrapping up this post here, but my mother has derailed me. Before writing this post I asked her to find my old Glamour Shots and text them to me. 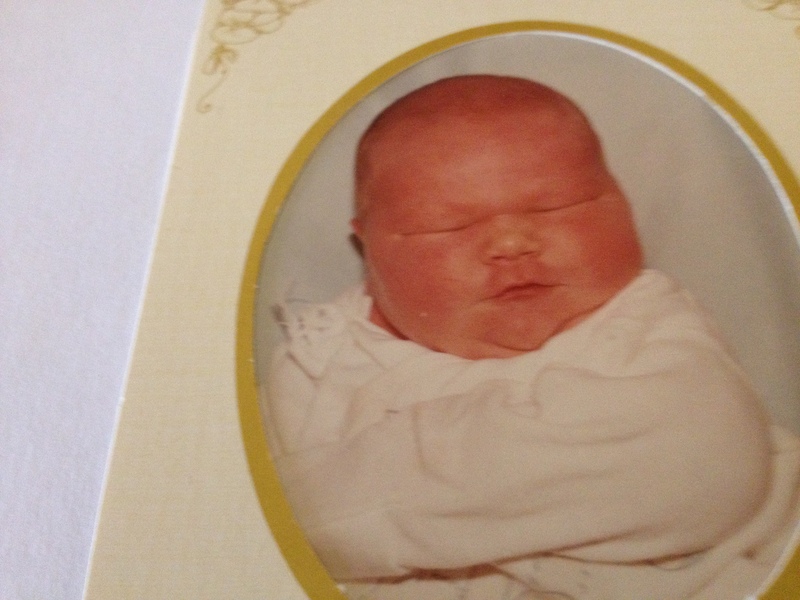 Well, apparently, Mom started having a field day once she opened the ole family picture albums, and she’s sending me ridiculous pictures of myself left and right. While I go buy frames for my Glamour Shots that I plan to hang in the new house, you all subscribe to my blog on the right and become model mortgage clients yourselves. Oh, and team? I’ll take that chilled water now.